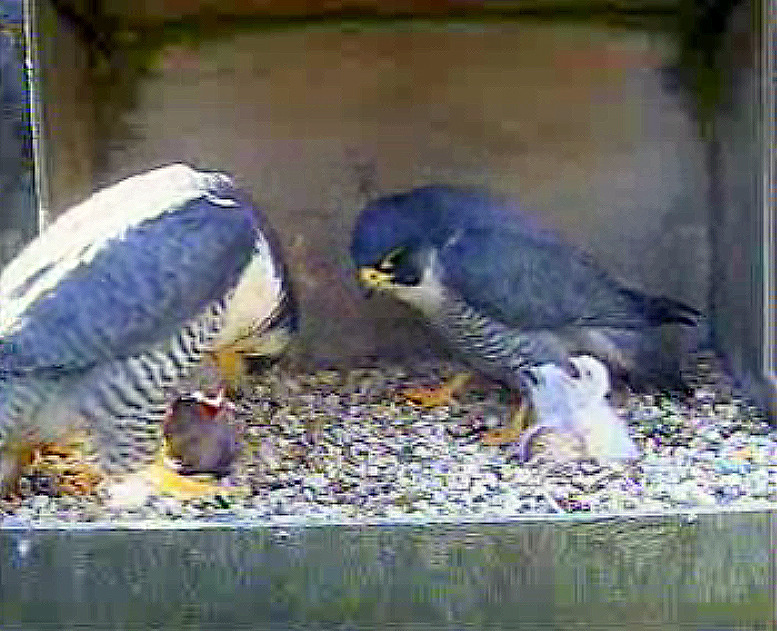 6th May 2011, and there are now four chicks clearly visible on the RSPB webcam on the Cathedral spire. 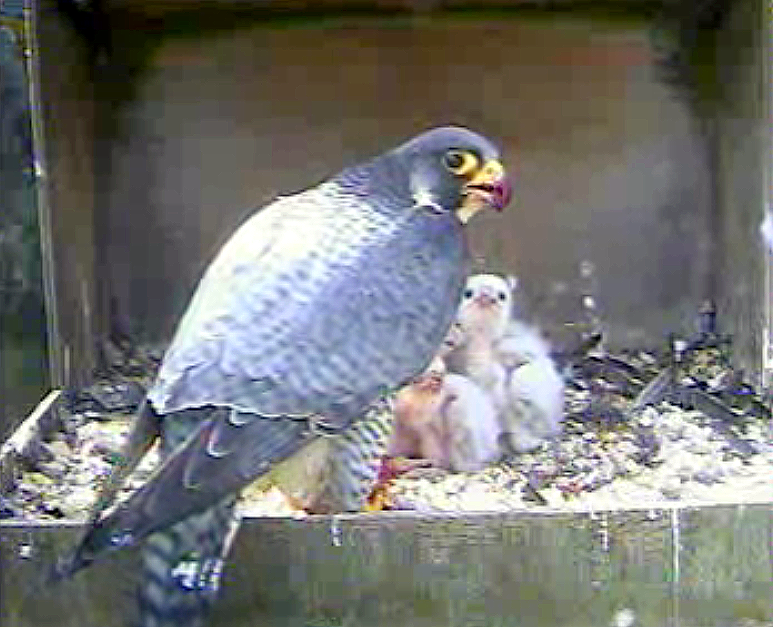 Mum and Dad are working their socks off, supplying a varied menu ranging from pigeons to waders! 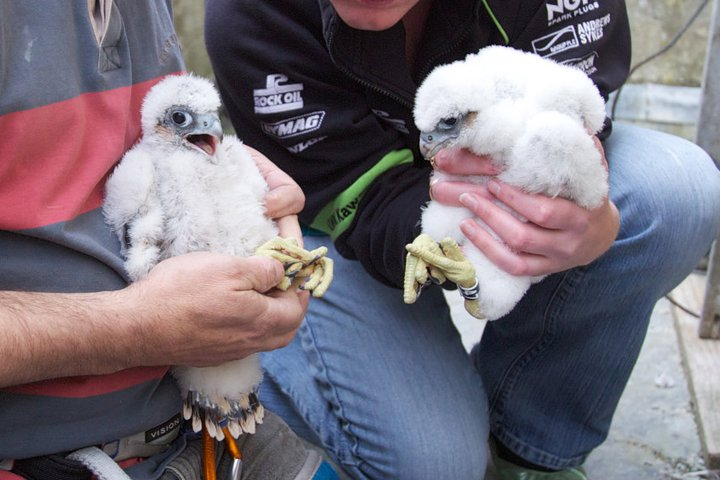 Chichester Cathedral Peregrines now have two babies! 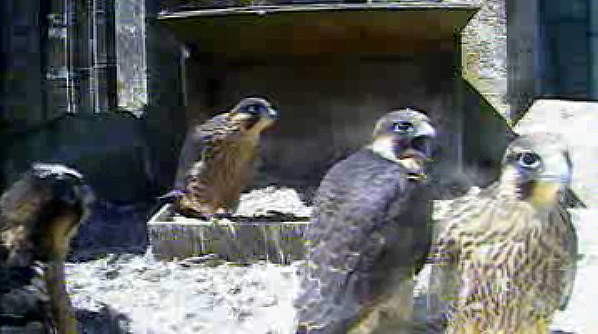 Hot news from the Chichester Cathedral webcam! 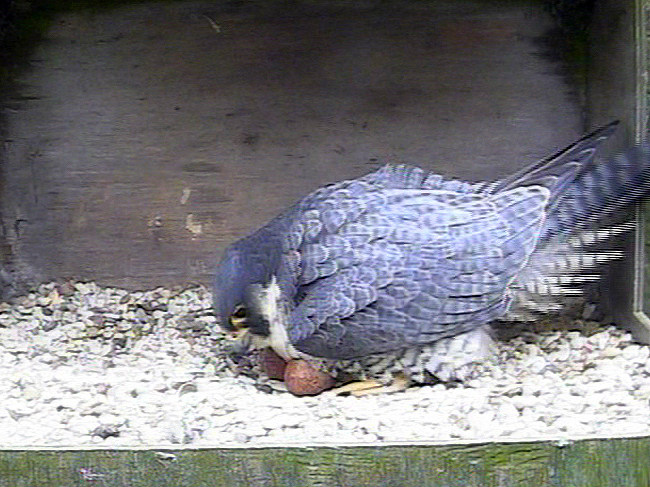 The same pair of Peregrine Falcons have returned to the Cathedral for the tenth year in a row, and are now sitting on a clutch of four eggs. If you wander over to the cathedral grounds you’ll be guaranteed impressive views of this amazing and normally secretive bird. Listen out for a ‘kek-kek-kek-kek’ call and you’ll soon spot it soaring around the spire murdering pigeons! 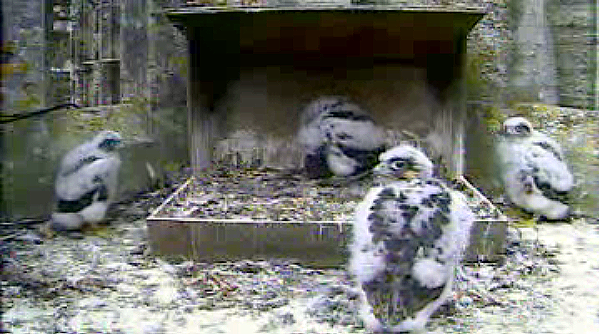 For a live update on their progress you can watch the RSPB’s web cam.